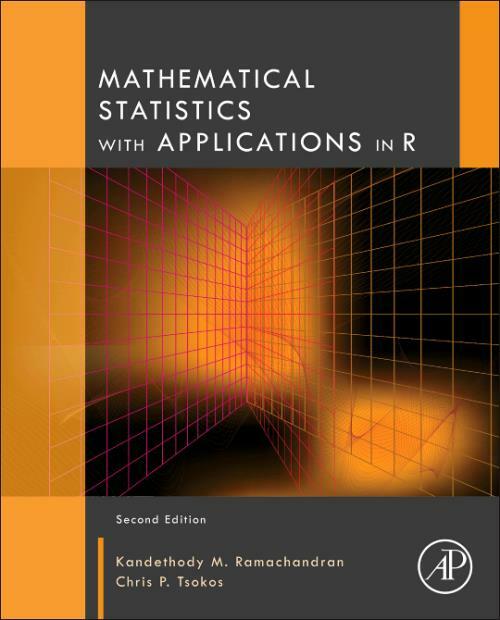 Mathematical Statistics with Applications in R, Second Edition, offers a modern calculus-based theoretical introduction to mathematical statistics and applications. The book covers many modern statistical computational and simulation concepts that are not covered in other texts, such as the Jackknife, bootstrap methods, the EM algorithms, and Markov chain Monte Carlo (MCMC) methods such as the Metropolis algorithm, Metropolis-Hastings algorithm and the Gibbs sampler. By combining the discussion on the theory of statistics with a wealth of real-world applications, the book helps students to approach statistical problem solving in a logical manner. This book provides a step-by-step procedure to solve real problems, making the topic more accessible. It includes goodness of fit methods to identify the probability distribution that characterizes the probabilistic behavior or a given set of data. Exercises as well as practical, real-world chapter projects are included, and each chapter has an optional section on using Minitab, SPSS and SAS commands. The text also boasts a wide array of coverage of ANOVA, nonparametric, MCMC, Bayesian and empirical methods; solutions to selected problems; data sets; and an image bank for students. Advanced undergraduate and graduate students taking a one or two semester mathematical statistics course will find this book extremely useful in their studies. Chris P. Tsokos is Distinguished University Professor of Mathematics and Statistics at the University of South Florida. Dr. Tsokos' research has extended into a variety of areas, including stochastic systems, statistical models, reliability analysis, ecological systems, operations research, time series, Bayesian analysis, and mathematical and statistical modelling of global warming, both parametric and nonparametric survival analysis, among others. He is the author of more than 300 research publications in these areas, including Random Integral Equations with Applications to Life Sciences and Engineering, Probability Distribution: An Introduction to Probability Theory with Applications, Mainstreams of Finite Mathematics with Applications, Probability with the Essential Analysis, Applied Probability Bayesian Statistical Methods with Applications to Reliability, and Mathematical Statistics with Applications, among others. Dr. Tsokos is the recipient of many distinguished awards and honors, including Fellow of the American Statistical Association, USF Distinguished Scholar Award, Sigma Xi Outstanding Research Award, USF Outstanding Undergraduate Teaching Award, USF Professional Excellence Award, URI Alumni Excellence Award in Science and Technology, Pi Mu Epsilon, election to the International Statistical Institute, Sigma Pi Sigma, USF Teaching Incentive Program, and several humanitarian and philanthropic recognitions and awards. He is also a member of several academic and professional societies, and serves as Honorary Editor, Chief-Editor, Editor or Associate Editor for more than twelve academic research journals.